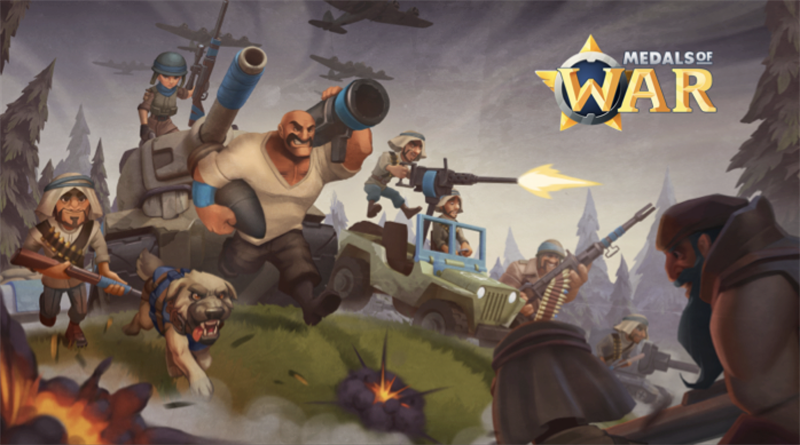 Nitro Games, a leading Finnish developer and publisher of mobile games, announced that the launch of its latest game “Medals of War” has now started in MEA region with additional visibility through instant featuring. The game is distributed by Netmarble EMEA, the regional office of Netmarble Games, one of the fastest growing mobile gaming companies in the world today. “We are excited to start the launch of Medals of War in first MEA region countries. We have enjoyed the collaboration with Netmarble EMEA, as they have brought their strong local market expertise to the table. Medals of War has been localized carefully to also include new units and visuals. We are happy to welcome new players to join the battle in Warland.” says Jussi Tähtinen, CEO & Co-Founder, Nitro Games Oyj. This launch follows Nitro Games’s strategy where the company is self-publishing it’s games in the western markets and accessing other markets via publishing partners. Medals of War has been developed with Nitro Games’ MVP –process, where the game development is closely tied to continuously collecting actual market data and community feedback, as the game is being further developed. Netmarble EMEA is the publisher in Turkish and Arabic speaking countries. This is the first step in the game launch in MEA region (Middle-East and Africa), where Netmarble is the publisher. This company announcement contains information that Nitro Games Oyj is obliged to make public pursuant to the EU Market Abuse Regulation. The information was submitted for publication by aforementioned contact person on 21 December 2017 at 09:00 (EET).